Staff Selection Commission (SSC) is an Indian organization to recruit staff for various posts in the various Ministries and Departments of the Government of India and in Subordinate Offices. SSC conduct examinations and/or interviews to make recruitment to Group “C” and Group “D” posts for the various Ministries and Departments of the Government of India. It does not make any recruitment for states. 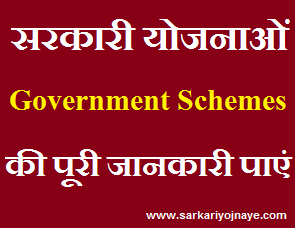 It serves only central Government. The Staff Selection Commission has conducted the Stenographer Grade ‘C’ & ‘D’ Examination, 2018 from 5.2.2019 to 8.2.2019. This Examination was conducted at 208 venues in 107 cities across the country. As against 4,36,910 registered candidates, 1,85,357 (42.43%) actually appeared in the examination. 1.29 Lac Candidates applied from SSC Central Region. Result of SSC Stenographer Tier 1 examination will announce shortly. Roll Numbers will declare provisionally qualified for appearing in Skill Tests for the post of Stenographer Grade ‘C’ and Stenographer Grade ‘D’, respectively, subject to their fulfilling all eligibility conditions. Candidates are advised to Keep in touch with us for Latest Result Updates & as well as of SSC Website (www.ssc.nic.in). SSC Steno Selection Process : Paper 1 was consisted of Objective Type Multiple Choice questions only. Candidates who are shortlisted on the basis of performance in Paper 1 will be called for Skill Test. Shortlisted Candidates will be called up for Document Verification. (ii) The candidates will have to appear for the Skill Test in Stenography. The candidates will be given one dictation for 10 minutes in English/ Hindi at the speed of 100 word per minute (w.p.m) for the post of Stenographer Grade ‘C’ and 80 w.p.m. for the post of Stenographer Grade ‘D’. The matter will have to be transcribed on computer. if you have any query at any Time please Leave a Message Here for ssc steno Result, Through given below Comment Box. Our Experts Team will try level best and suggest you. Please don’t hesitate to contact us (by using comment) we will glad to help you.